Sometimes you just want something sweet! When you have that craving! This dessert was quite tasty! I like eating cake or fudge or anything topped with a scoop of ice cream! Warm and cold sensation!! If you haven’t tried it yet! You should!! 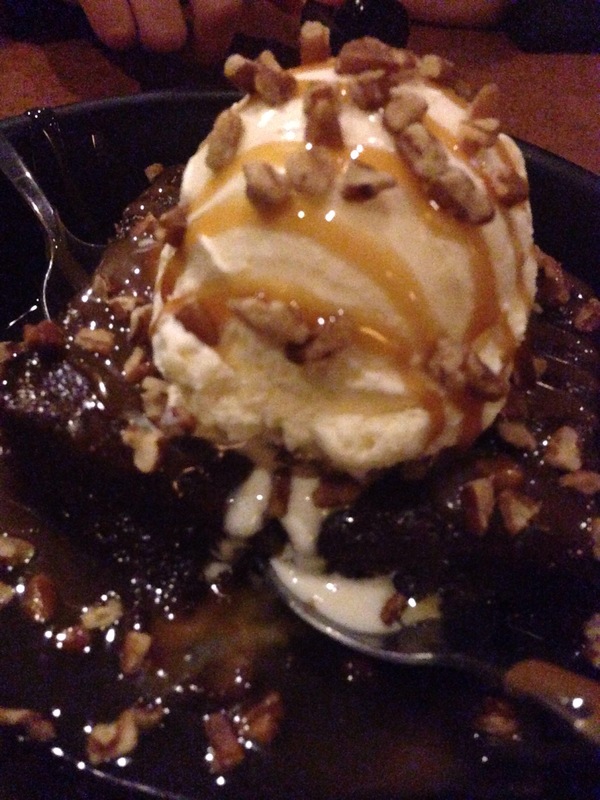 This was the Tennessee whiskey cake, it was very tasty, tasty a little whiskey in the mix.